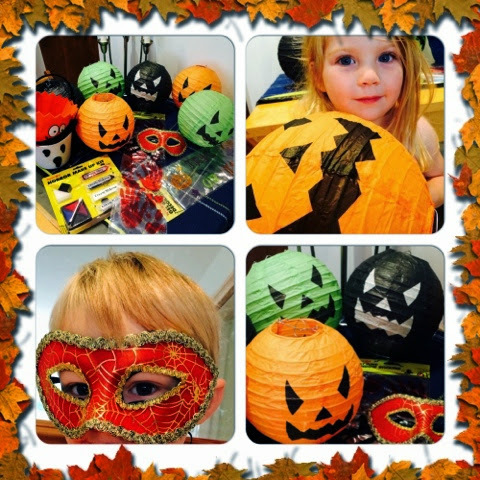 Adding on to my earlier Halloween blog post - http://emmainbromley.blogspot.co.uk/2014/10/family-halloween-party-halloween-2014.html I wanted to share some lovely goodies from Poundland! Paper lanterns in black, green and orange - you get two per pack. Cream based face paints - including fake blood! And window clings - I have two sets - hand prints in blood and glittery trick or treat letters!